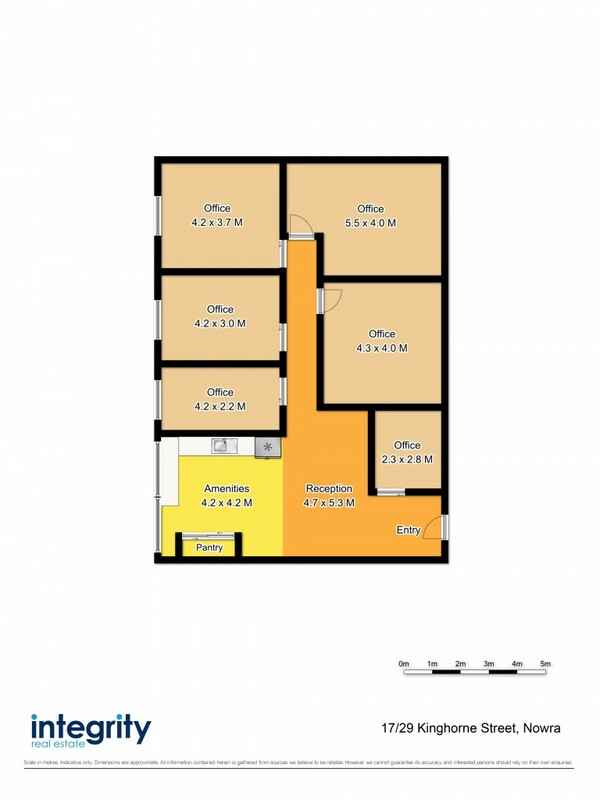 Located on the second floor of the Holt Centre, in the Nowra CBD, this 128sqm (approx) property, zoned b3 (core commercial) is something that is definitely worth consideration. Consisting of 5 office spaces, conference room, waiting area & kitchen and added bonuses of ducted reverse cycle air conditioning & ample public car park to the rear of the building. Tenant in place until June 2020 with 2 x 3 year option.